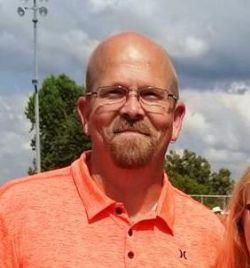 Michael James Clegg, age 42, of Mena, Arkansas, died Wednesday, July 4, 2018 at the Mena Regional Health System. He was born on Tuesday, April 20, 1976 to Johnnie Clarence and Jill Treadwell Clegg in Fort Smith, Arkansas. Michael was a member of the Covenant of Life Church in Mena. He worked for M&PC Lawn Service for the past two years and was proud of getting his GED. Michael liked to listen to old rock and spend all the time he could with his family. His kids were incredibly important to him and were his guiding light. Michael was a loving husband, son, father, brother, uncle, and friend and will be missed by all who knew him. He is preceded in death by his father, Johnnie Clarence Clegg. Michael is survived by his wife, Jennifer Clegg of Mena; his mother, Jill Clegg of Mena; two sons, Preston and Zachary Clegg of Mena; four daughters, Ashton Fryar and husband Robert of Mena, Danielle Clegg of Mena, Alexis Clegg of Mena, and Abbie Clegg of Mena; one sister, Jennifer Flemens and husband Jerry of Mena; one uncle, Richard Treadwell of DeRidder, Louisiana; one aunt, Mary Evans of Austin, Texas; and a host of other relatives and friends. Funeral services will be held Saturday, July 7, 2018 at 2:00 P.M. at the Bowser Family Funeral Home Chapel in Mena, with Sister Glynn Nell Adams officiating. Interment will follow in the Gann Cemetery in Potter, Arkansas. Funeral arrangements are entrusted to Bowser Family Funeral Home in Mena. Pallbearers are Preston Clegg, Jerry Flemens, Robert Long, Jason Chaney, Fred Chaney, and Jason Hix. Honorary Pallbearers are Robert Fryar and Richard Treadwell.